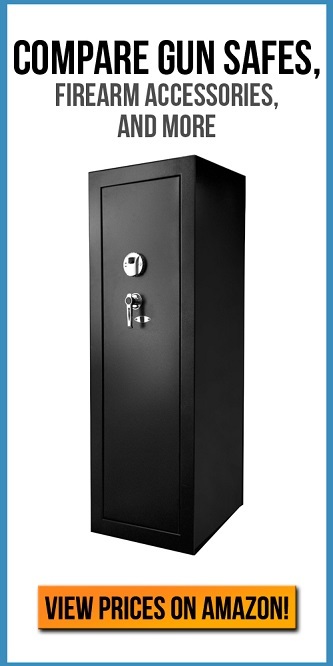 Deciding on where you want to put a wall safe can be a difficult decision. When it comes to wall space it is all about using your space wisely. A lot of us don’t live in mansions which can be problematic because that means there is limited space available. But if there is limited space, also this can come in handy due to them being out of sight out of mind out of the way wherever you are walking in your home. If you’re unsure where you want to put the wall safe that is best for your home, make sure that you take the time because you might end up putting a hole in the wall and regretting it later. Fixing drywall can be a difficult task, nobody likes to do it. And worse, nobody wants to pay for the repairs that the wall requires. Have no fear because we will be discussing way should be placing a wall safe. Take a look. As the header suggests, take a look around your home and find a very specific spot, that will be easy to access, but difficult to find for any intruders. This means that we do not recommend putting the wall safe behind any furniture such as: coaches, dressers, nightstands, or even in a closet. Of course, closets can be a good spot if you have easy access, but most people do not have easy access to the closets. Closets are meant to quickly grab something out, and be on your way. But to spend a while trying to open the safe, grab something on the sick, and then closing the safe, can result in frustration. This is why we stress the importance of making sure that the spot you choose will be a spot that you can easily gain access to. In fact, we believe that you should spend more time trying to find an easy access spot, then you should on looking for a well-hidden spot. But, what constitutes a well-hidden area? There’s a number of factors, and some people are destined to disagree with us. The best spot, is a place where somebody’s eyes do not focus on. This command having the sacred by the front door, having the safe in a hallway, or someplace else a burglar will not think to look. If a burglar doesn’t even realize something is there, but how they know to grab it? It’s a simple trick, but it is very clever and off to work out for many people. So, for an easy access spot that will cause you frustration to get to and make sure it is a spot that a potential home intruder will be able to easily locate. if you have children, something that is extremely good for you to do, is to not even tell them where safe is. Children have a tendency to let out valuable information when asked. Should somebody ask them about what valuables are home they might end up spending 20 minutes telling all the details of what’s going on inside the house. Children do not need to be around a wall safe anyway. It is good to educate them, but there is a time and place for everything. Waiting until their mature enough, is probably the best decision.